The newly-released reissue of the Rolling Stones 1971 album classic, “Sticky Fingers”, appears to be headed for US Top 10 debut. Billboard reports industry forecasters predict the package will sell around 35,000 copies in its opening week. The chart’s new top 10 will be revealed on Wednesday, June 18. 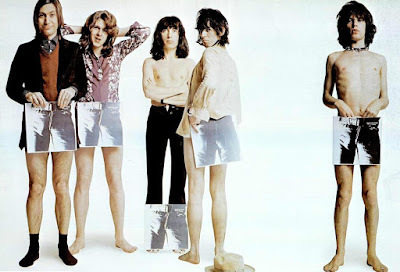 The Rolling Stones are currently playing concerts on their Zip Code tour of North America to promote the expanded reissue, which is rounded out with alternate and unreleased tracks from the sessions. The band warmed up for the tour with a May 20 club show at The Fonda Theatre in Los Angeles, which was filmed for a possible future release. The club date presented what the band billed as a “one-time only set” featuring the original “Sticky Fingers” album in its entirety with additional hits.